Questions to ask yourself and the breeder. Where do I look for a breeder? Call the CKC and find the breed club. Or go to the Selecting A Breed page. Responsible breeders often advertise in dog magazines, have a websites, can always provide a reference or give you their vet's phone number. A good breeder should also show their breeding stock. Shows are not just a beauty pageants. Conformation is about the independent assessment of how much a dog looks like its breed, and how closely its temperament matches that which its breed is supposed to have. They should have a questionnaire for you to fill or a series of questions for you. They will ask you for references. This is proof they care where their pups are going. Can you visit the kennel? You should be able to meet the adults and the puppies. Most kennels are in private homes and require that you schedule an appointment. Be polite and don't just show up unannounced. Should the pup be registered? The Canadian Kennel Club doesn't allow breeders to charge more for "papers". What should I look for in the pedigrees? Many unreputable kennels hide their dogs' pedigrees to hide their breeding practices. They also do not post them on their site to hide the fact their dogs were bought from puppy brokers. The majority of kennels do not last longer than 5 to 6 years. Will they be there when you need help? They should keep numbers low (quality not quantity), show and train each dog or at least have the appropriate facilities for the number of dogs they keep. Hold a kennel license and be inspected once a year. They should be very knowledgeable about each dog and their pedigrees. They should be able to tell you the good and the bad about their lines. What types of inoculations and de-worming are required? All appropriate shots (at least the first set), and de-worming should be done before the pup leaves. Responsible breeders will not let them go before seven to eight weeks of age or more for smaller breeds. Older if travelling long distance or by air. CERF eyes: once a year. Heart: over a year old. Never breed dogs that don't have the temperament and health test required by their breed clubs' Ethics Committee. If the breeder does not or cannot produce hard copies of health testing carried out on the parents of a puppy you're considering, don't buy from this person. How often is a female bred? Under normal circumstances a mature adult female is usually only bred after 18 months to 2 years of age. Breed clubs set the rules for spacing between litters.. This will depend on the breed clubs rules. Please make sure you have visited your specific breed's National Club site and read their Code of Ethics. Both Dogs and kennels should be clean and spacious! Facilities will vary depending on the breed. Various communities have regulations and inspect kennels in their area. Some require a license be posted in the kennel. Kennels that are inspected will have proof of this posted in their home. Look for the certificate or ask to see them. 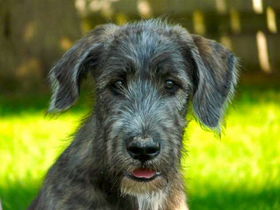 a Canadian Kennel Club non-breeding contract? All purebred registered dogs are identified by a tattooed or a microchip before leaving the breeders' premises. All pet pups should be neutered/spayed. Show quality pups should be tested prior to breeding. Caring breeders should have fines set up for breaking their contracts. On top of the CKC non-breeding contract, most breeders will have their own private contracts and will insist that you neuter the dog or contact them if you no longer want the dog. A good breeder will pursue legal action when their contracts are broken. This can be enough of a deterrent for puppy brokers. What is their guarantee? 1, 2 or 3 years? Is it in writing? Can you return the pup? Good breeders will offer a minimum of 2 year guarantee from date of birth or date of sale. This guarantee protects both parties. you have about the puppies training? Do they have the puppies on a pre-training schedule? Feeding schedule? Will they give you their vet's name and phone number? Have reference willing to and will ask you for references. AFTER SALE SUPPORT IS VERY IMPORTANT!!!!! Can you meet the Sire and Dam? Sometimes, the breeders are looking for the best match for their dogs and have gone afar for the right match so the Sire will not always be on-site. However, they should be prepared to supply you with adequate information if the Sire is not available. You should be able to visit them prior to giving your deposit. Not all good breeders will have the space for a stud dog or two. 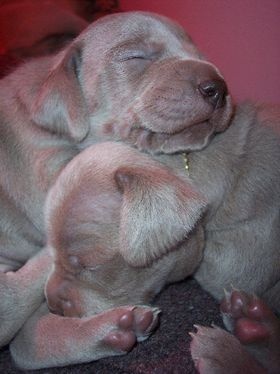 Pups will inherit their parents' temperament and looks. Can you live with that for 10 to 15 years? They must spend hours everyday observing the reaction of the pups to different situations. One temperament test is often not accurate. Raising the young pups in the house is one of the best way to really know the pups temperament. This also exposes them to people and noises they will hear in your house. Do they belong to a dog club? They should belong to, at the very least, one club. How much should I be prepared to pay? The prices charged by reputable breeders reflects the time, money and health testing invested in producing a healthy litter of puppies that are "almost" free of genetically inheritable conditions. A lot depends on supply and demand and other factors such as: how rare a breed is or the cost of breeding certain breeds. (Ex. English Bulldogs). 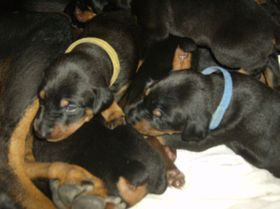 With a good breeder prices can vary between $900 to $3000.